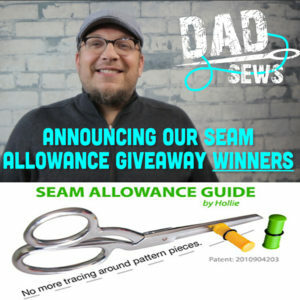 We announce the winners of the FREE Seam Allowance Guide from DadSews.com and SeamAllowanceGuide.com. We want to sew and we want to do it NOW! The most time consuming and annoying part of sewing is adding a seam allowance to all your pattern pieces. 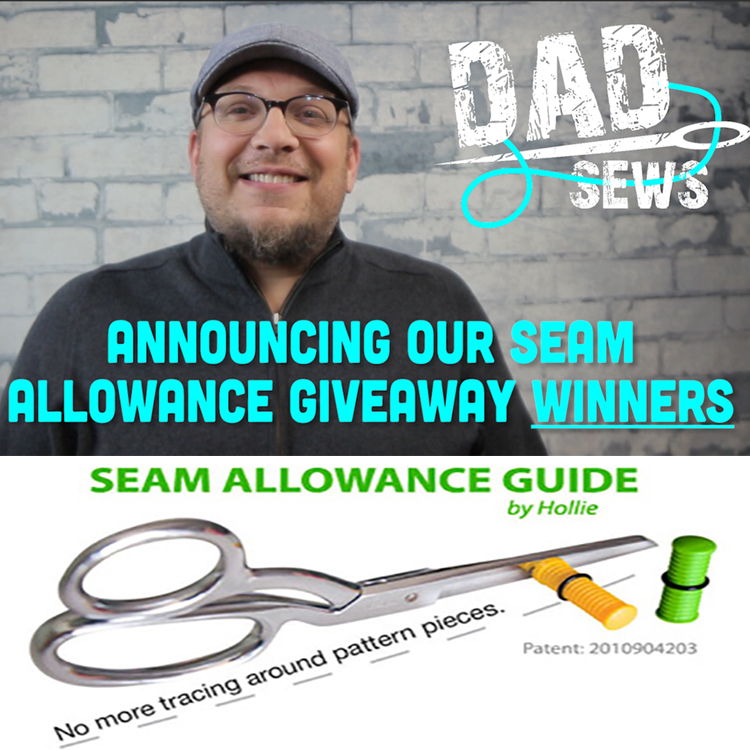 No longer do you have to measure and trace around each individual piece, the Seam Allowance Guide will do that for you while you cut out your fabric. Now you can spend more time on the fun stuff. Some scissors blades have a slight slope on the outer edge. This is about 3 degrees. If your scissor blade is sloping put the yellow guide on and rotate it until it’s parallel to the table/fabric. The green guide is used for scissors that have no slope on the outer edge of the blade. Also great for the tip or at the pivot of the scissors. Both are included in the packet. The Seam Allowance Guide uses a rare earth magnet which is extremely strong. Where on the blade do I position it? This will depend on your cutting style and the pattern shape. For long straight cutting, position it further back towards the handles. For curved patterns where the cutting action is smaller position it closer to the tip. As a rule the guide sits where the two blades separate during the cutting motion. The pattern piece goes to the right of your scissor blade – Cut clockwise around the pattern. The guide sits on the right hand blade. The pattern piece goes to the left of your scissor blade – Cut anti-clockwise around the pattern. The guide sits on the left hand blade. Don’t forget: SEW. FAIL. REPEAT. 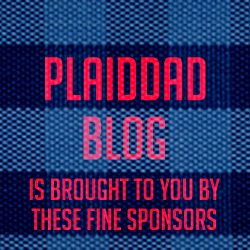 Check out http://DadSews.com for more videos and for parenting articles and videos, visit our main site, http://PlaidDadBlog.com.